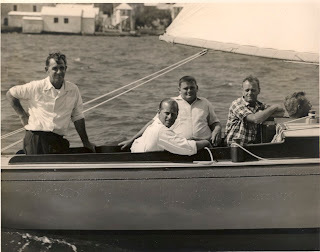 I first met Burt Darrell in 1970 after the Bermuda Race. We had work done at his yard. 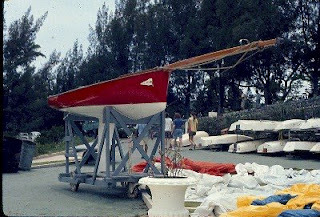 In the succeeding years I would always visit and help out at the yard, as the finish of a Bermuda Race would push the limits of the usual island time. I looked forward to it, as I was rewarded with many stories of the sailing past. He was a man of enormous understated charm. Often I was invited to lunch at his house, again understated, well hidden from the public. 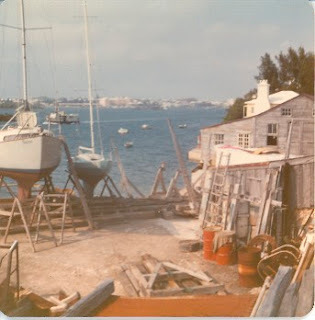 A house he built himself with lumber salvaged from wrecks on the reefs surrounding Bermuda. The House was built of teak. It was not unusual for someone of note to turn up for lunch as well. Burt was an accomplished sailor in his own right having won the King Edward VII Gold Cup six times, in addition to his other accomplishments. Burt would come to Newport for the America’s Cup races. He, like many real sailors wanted to “look under the hood” . It wasn’t the glamor, but the technology that attracted him. In 1972 a hurricane crossed the fleet on it’s way to Bermuda. We were in need of repair, like so many other boats once we arrived in Bermuda; and were due to sail in the Trans-atlantic race to Spain to boot. 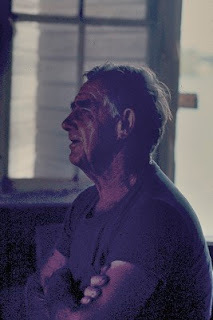 I worked furiously at Burt’s yard on our projects, helping haul other boats in between.